There may only be 12 days of Christmas but we’re giving you 6 weeks of sales starting November 19th! That’s right, 6 jam-packed weeks of selected gift items on sale along with local vendor sales in store and fun treats while you shop on the weekends. Now before you line up at the holiday shopping starting line this year, we want to gear you up with our Peoria Gift Guide, so you can get the most out of our upcoming holiday sales. Let’s dive in and help you find that perfect gift! As we all know, the holidays are a time for family, friends, and good memories. The ornaments we choose to hang on our Christmas trees are a collection of these memories that grow with each year. Therefore, choosing the perfect ornament to bring to a White Elephant Ornament Exchange party is not one to take lightly because it is a piece the recipient will add to their collection of great memories with great people. Also let’s be honest, we all want to be the person that brings the ornament everyone is fighting over to win at the party. At Robyn’s Nest, you’ll get just that; an ornament that is so unparalleled to the rest, everyone will want to get their hands on it! Even one of the most classic gifts will surprise your loved ones when you shop at Robyn’s Nest. Our assortment of candles are unlike any others, which is why they make for an ideal gift. We have stunning decorative candles in gorgeous pottery that your family members or friends can keep year after year as part of their home decor. We even have Fresh Cut Christmas Tree scent Soy Candles from Swan Creek Candles that will make your home smells like a winter wonderland. Keep the holiday cheer in the air with the delightful scents of the Capri BLUE candles. One of our favoriet Capri BLUE candle is the Alpine Juniper that is in emerald glitter jumbo glam jar and is the perfect in size and fragrance for the holiday season! To add the finishing touch to the gifts, pair them with a Robyn’s Nest gift card so the recipient can come back and choose something from our store that will be an unforgettable addition to their home. 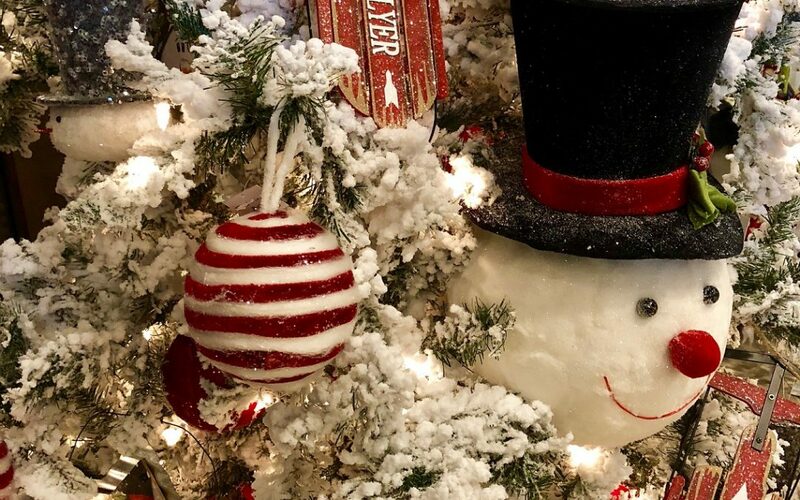 For more holiday gift or decor ideas stop by our shop in Peoria any time and talk to one of our lovely decor professionals or simply use inspiration from our store. Don’t forget to mark your calendars for our Christmas Open House Weekend from November 9th-11th; we look forward to seeing you all there! Robyn’s Nest – Creating your perfect nest to call home. Happy holiday shopping!